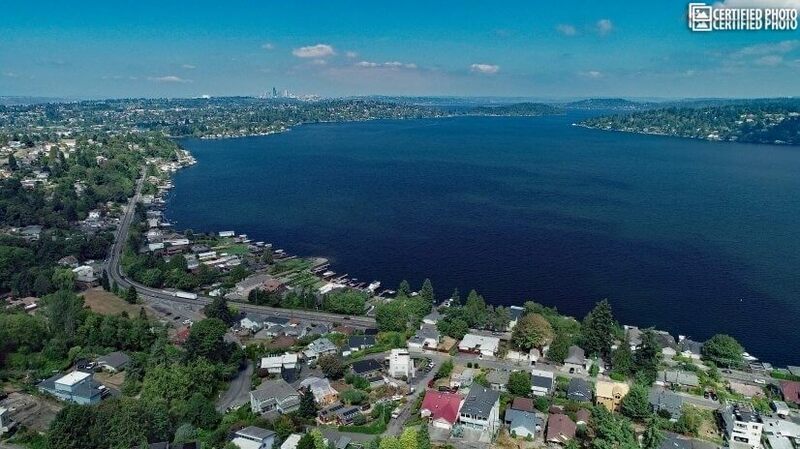 Lake Washington Seattle Corporate Housing Close to it All! 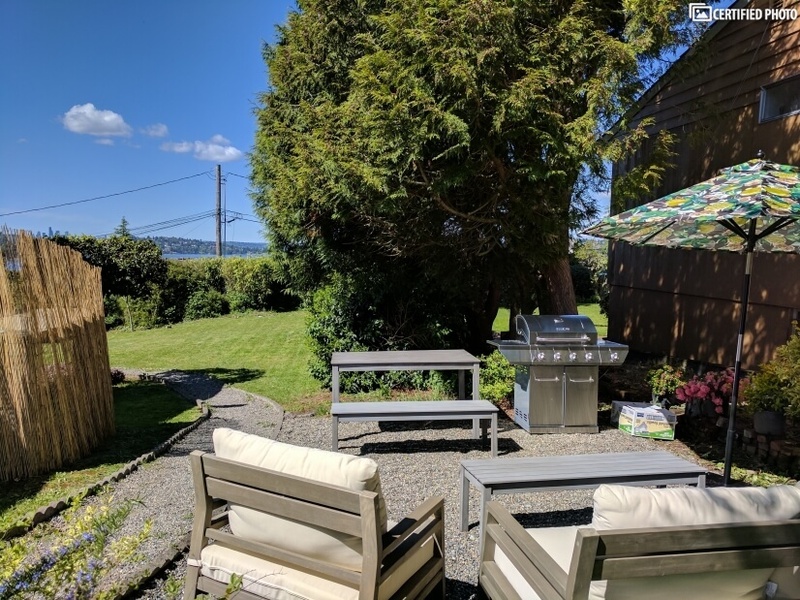 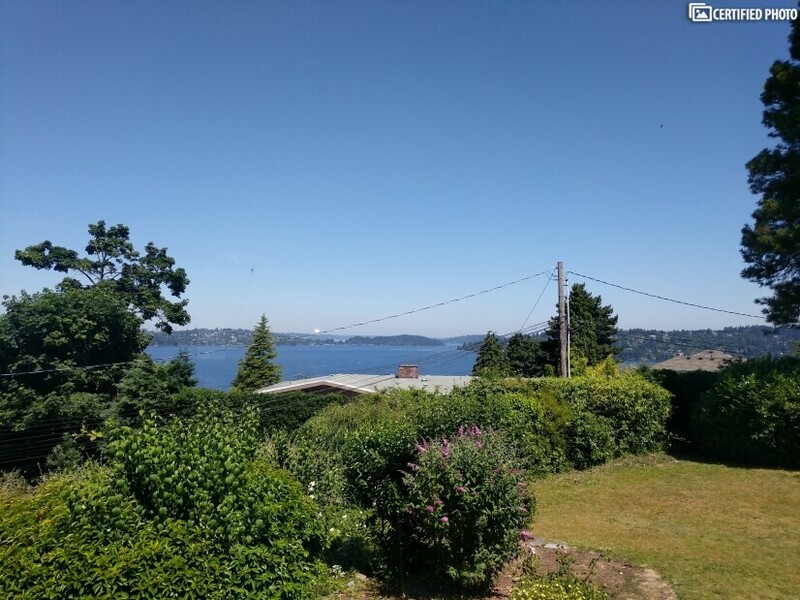 If you have just started to look for Lake Washington Seattle corporate housing, this furnished 3-bedroom home in Seattle may be just the thing. 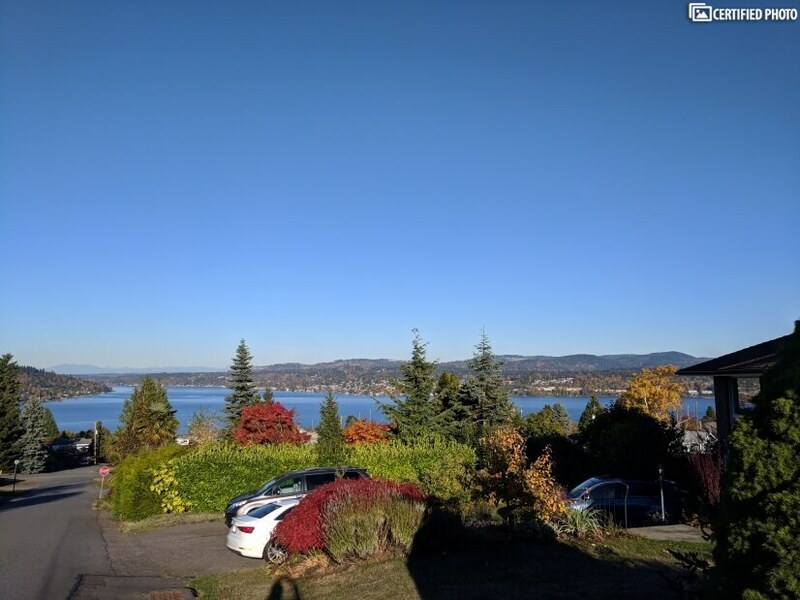 With a perfect location just twenty minutes from the downtown area, it is also part of the lovely Lakeridge district, and sits just a short distance from Coulon and Seward Parks along the waterfront as well as being just minutes from Cedar River. 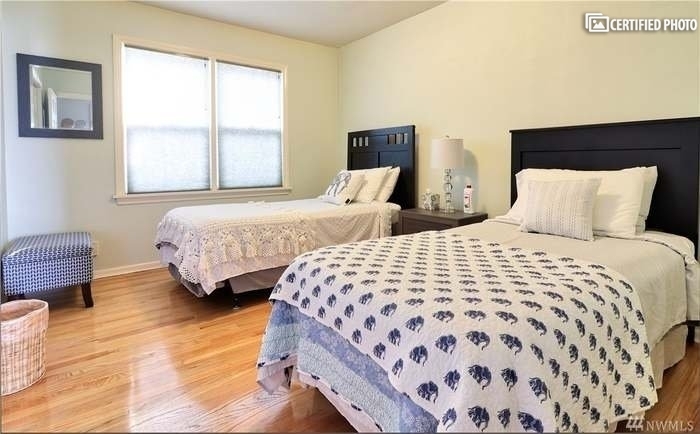 Your visit to this Lake Washington Seattle corporate housing also positions you within minutes of key employers like Microsoft, Amazon, Boeing, Walmart, the University of Washington, Providence Health and even military sites like the Joint Base Lewis-McChord. 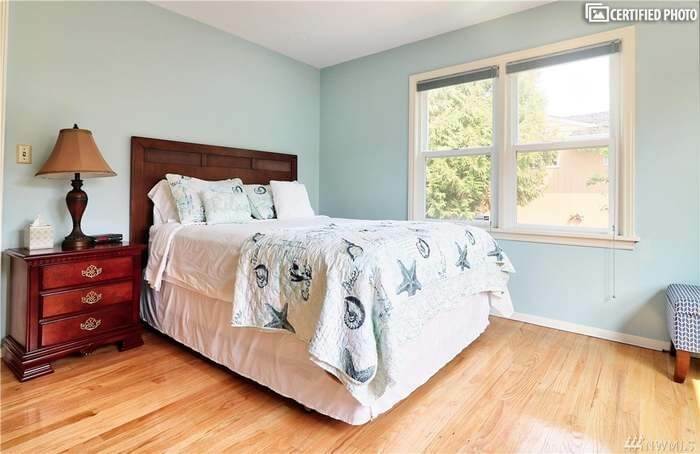 Though your stay in this furnished 3-bedroom home in Seattle comes with more than enough parking. 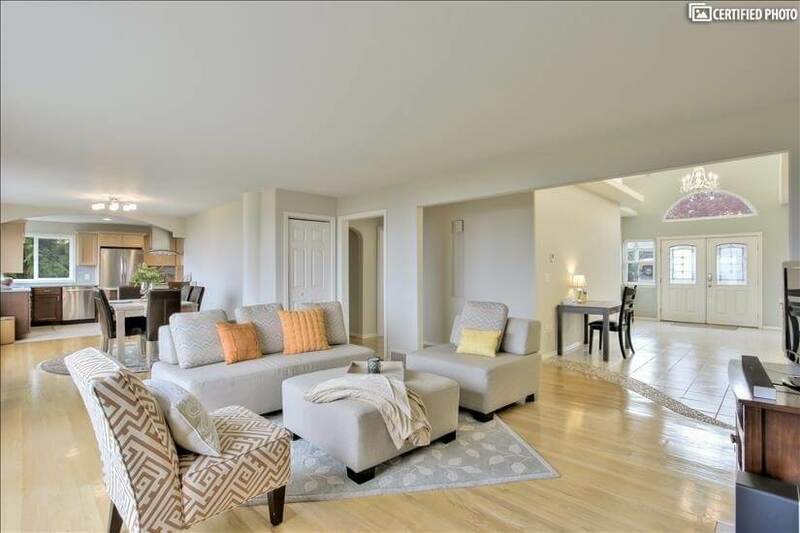 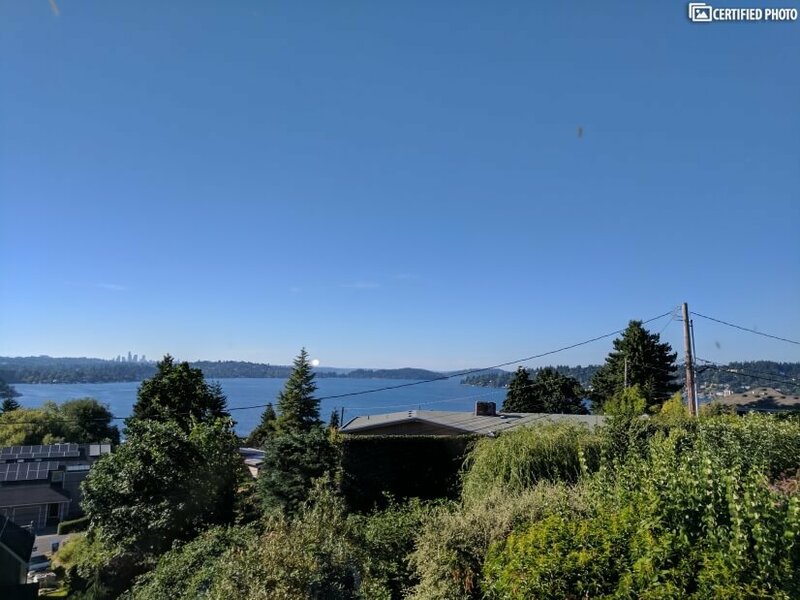 Unlike a lot of the other Lake Washington Seattle corporate housing choices, though, this stunning, furnished 3-bedroom home in Seattle has non-stop views of the lake, the nearby parklands, the city, and the surrounding neighborhood. 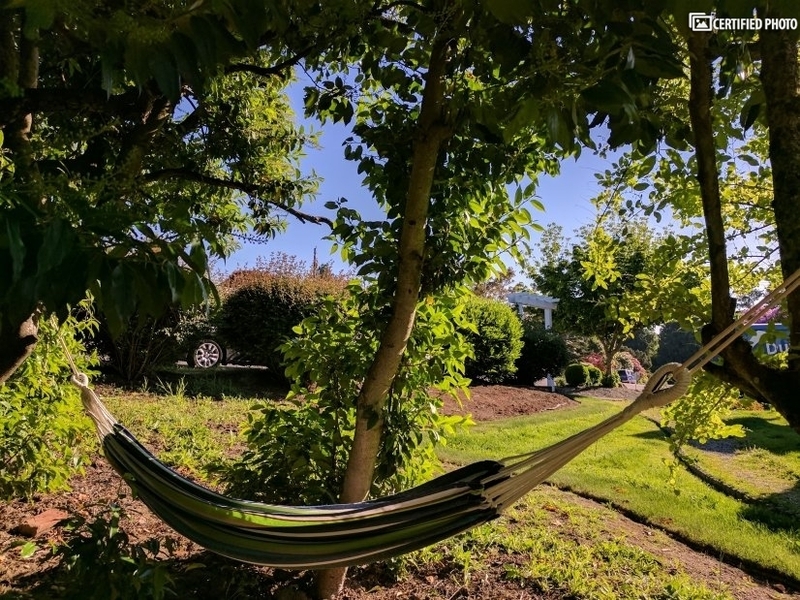 Bask in the privacy of your large and beautiful yard that is furnished as an al fresco living space with barbecue and lounge, as well as a hammock for hours of relaxation. 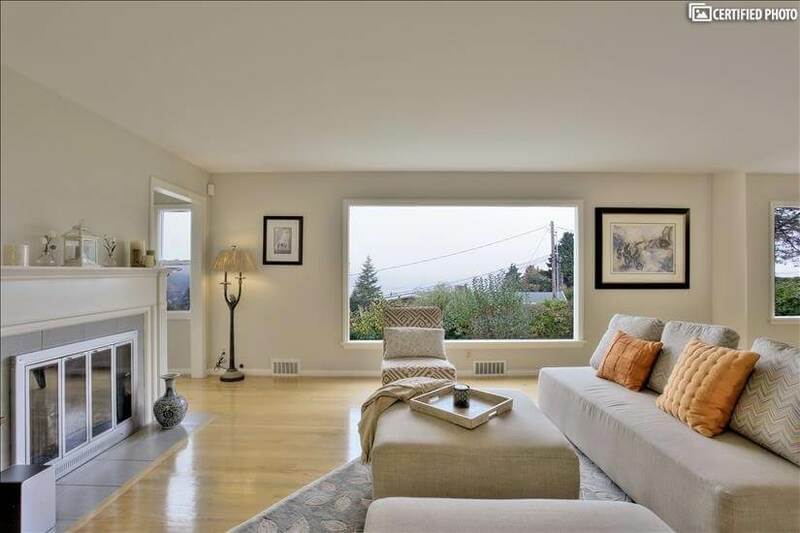 Or, enjoy the amazing views from the comfort of the beautifully decorated interiors. 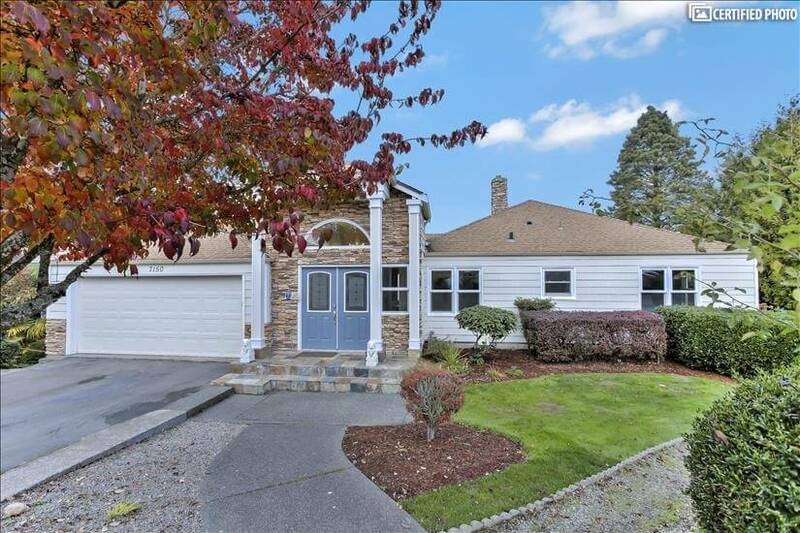 You enter via a grand foyer and make your way to the bright and airy living room, with its cozy fireplace and banks of windows gazing out to the lake and the surrounding, lush landscape. 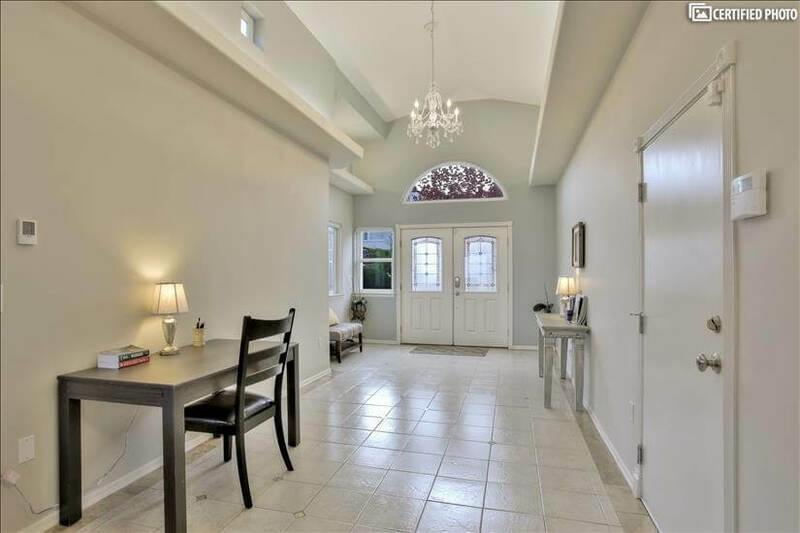 The living room opens into the dining area and the large, gourmet kitchen, and at all times those views are sure to delight. 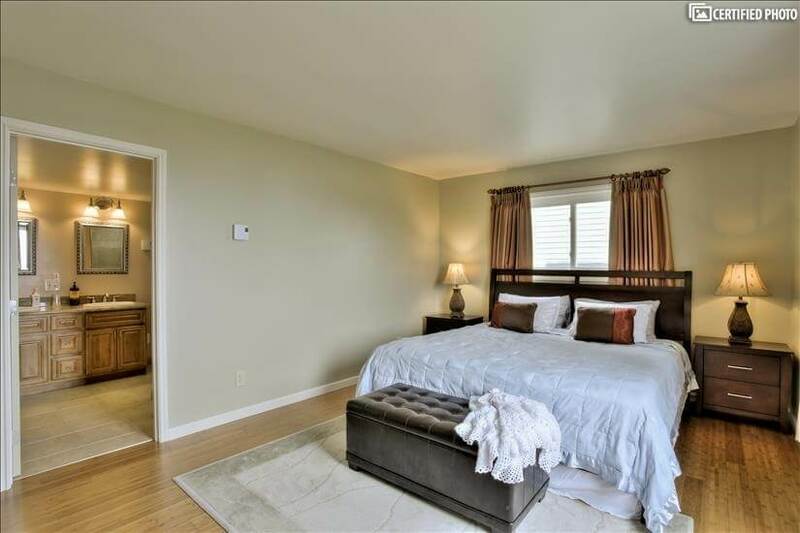 The bedrooms are a perfect match to the rest of the interiors and include the master suite with its equally luxurious private bath. 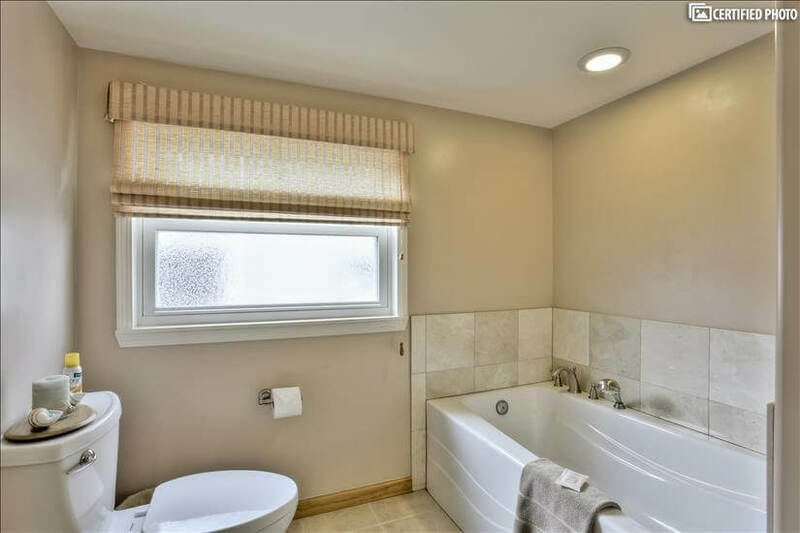 There is a queen suite with bath and a dual twin suite, too. 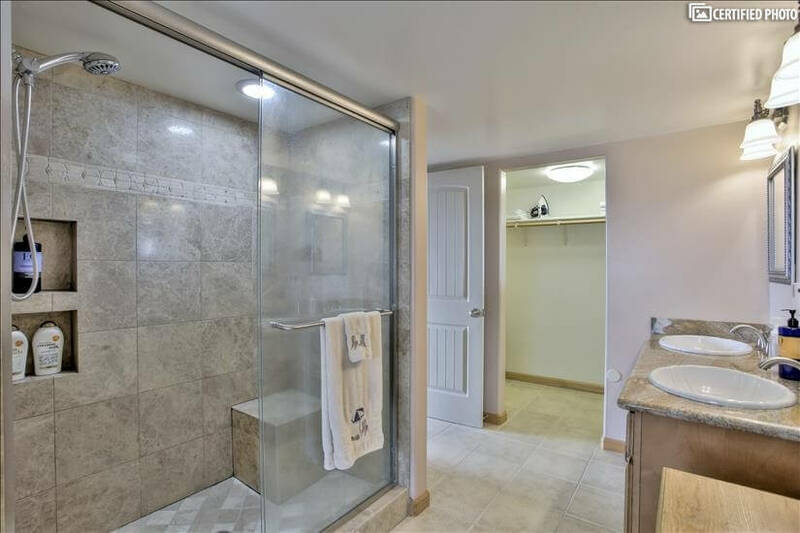 Additionally, just off of the foyer in this Lake Washington Seattle corporate housing option is an office space. 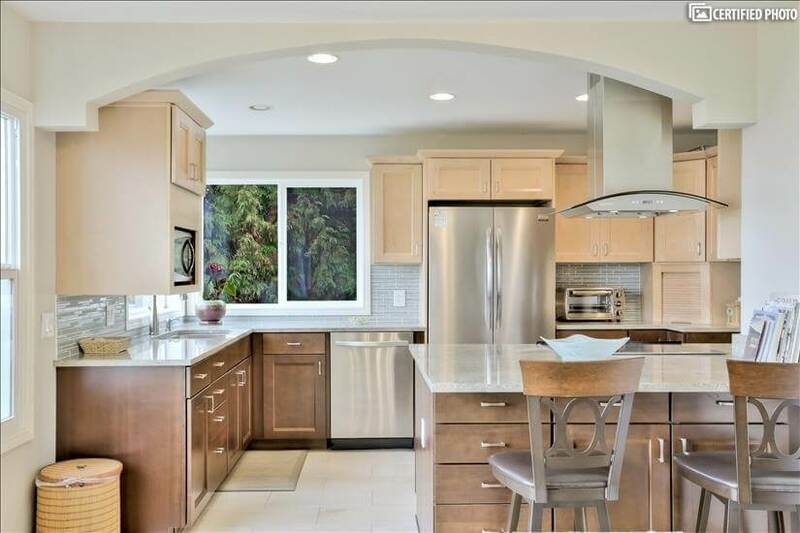 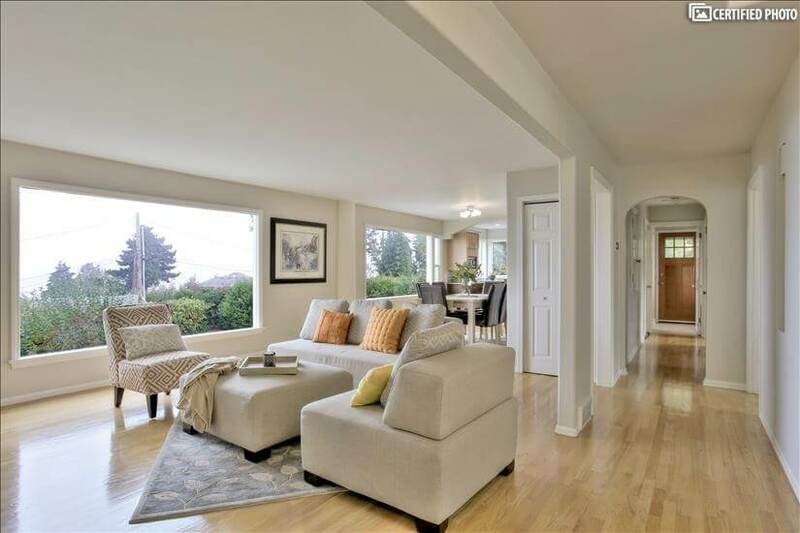 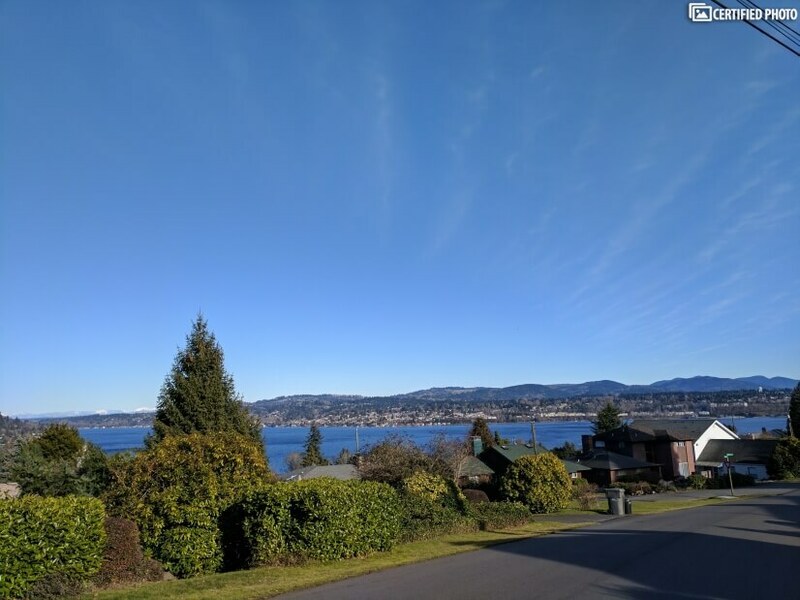 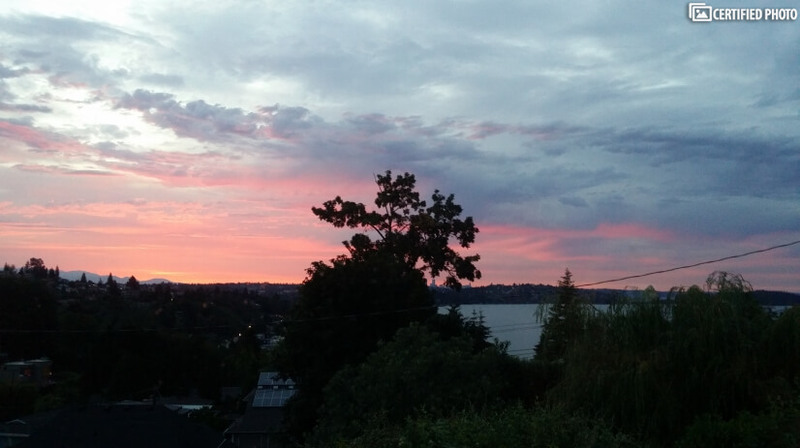 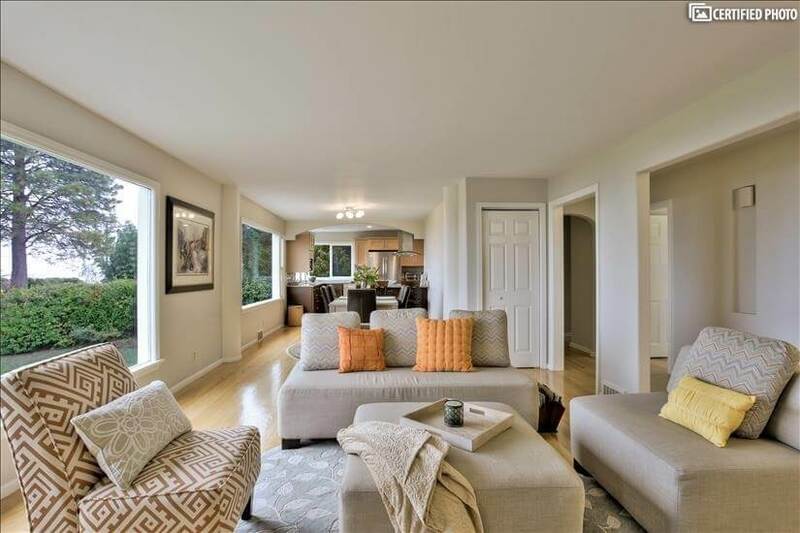 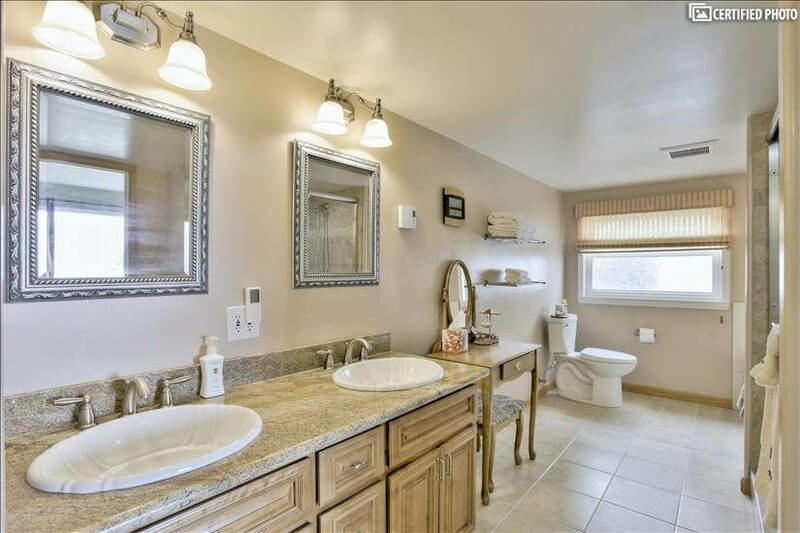 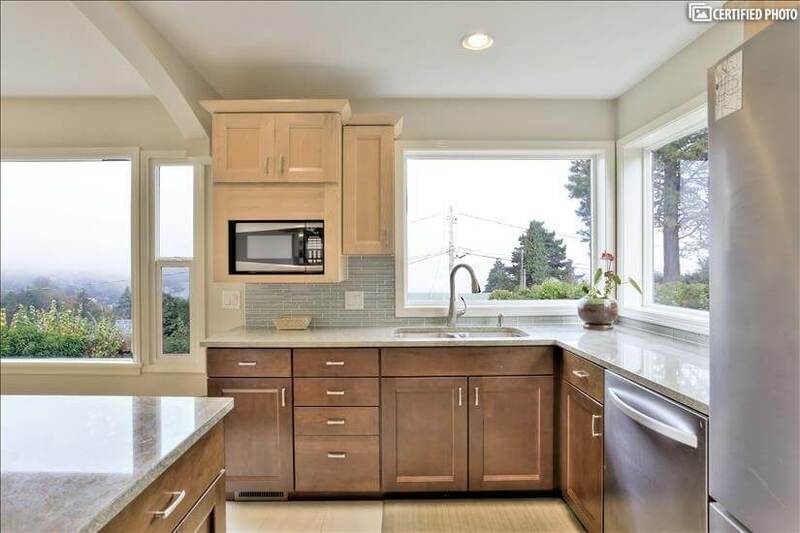 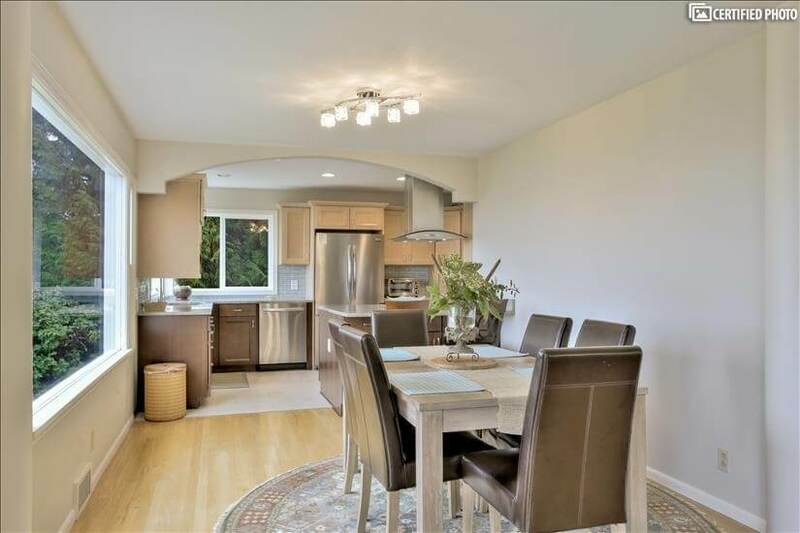 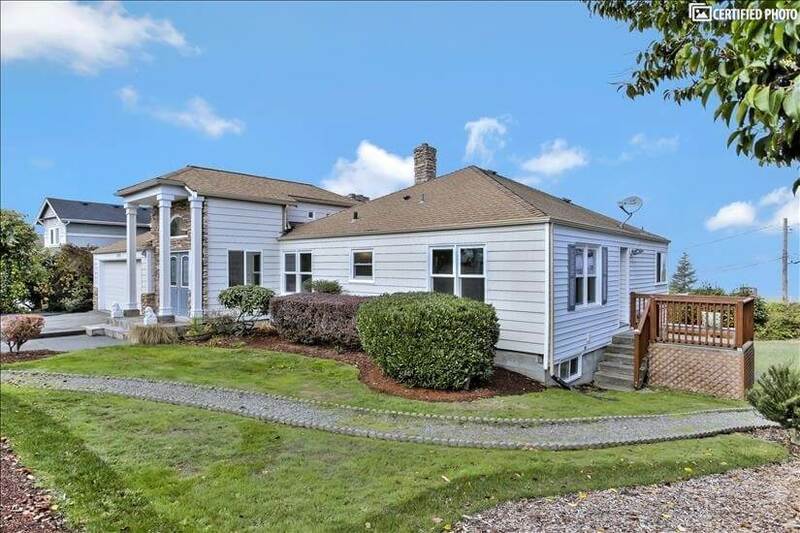 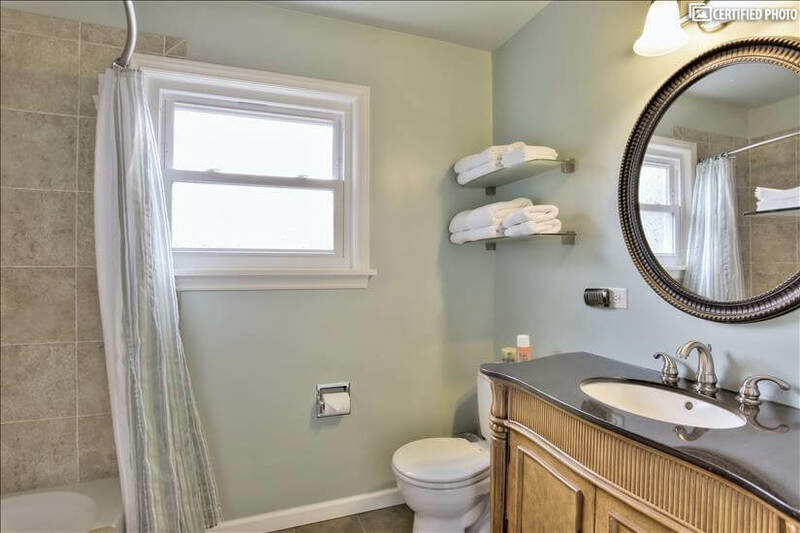 Whether you are visiting the area as part of an ongoing project or business purpose, a relocation, or you are simply eager to savor the best that the Seattle region makes available, this furnished 3-bedroom home in Seattle is a perfect choice. 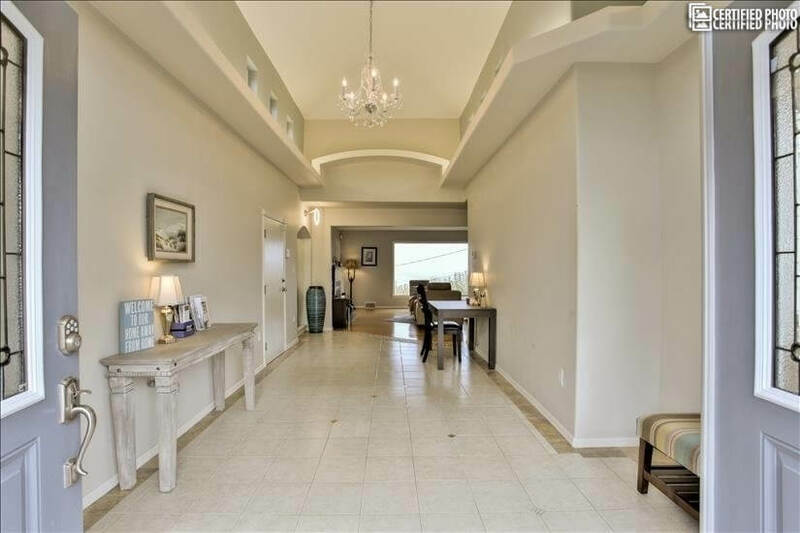 Grand and luxurious, it is conveniently located and yet offers amazing scenery and views. 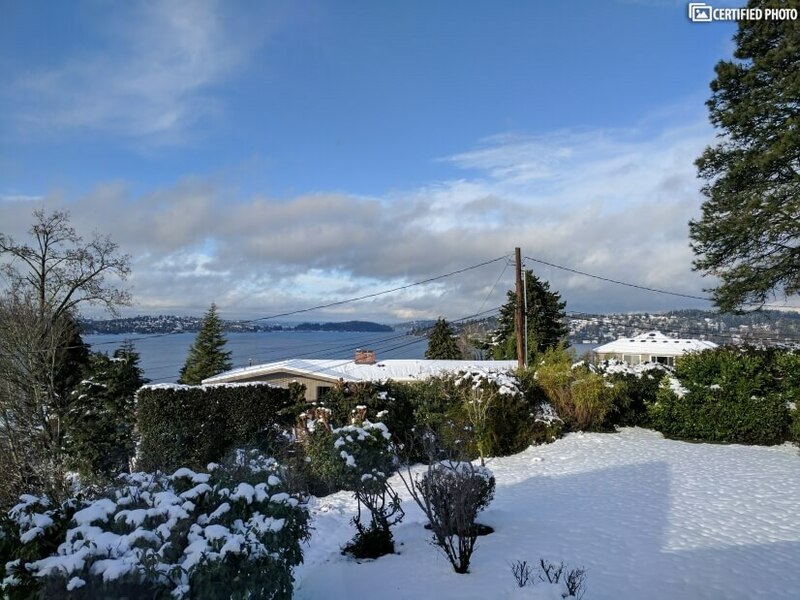 With indoor and outdoor living spaces and room six or more, it could even be a great spot for a lengthy holiday in Seattle.